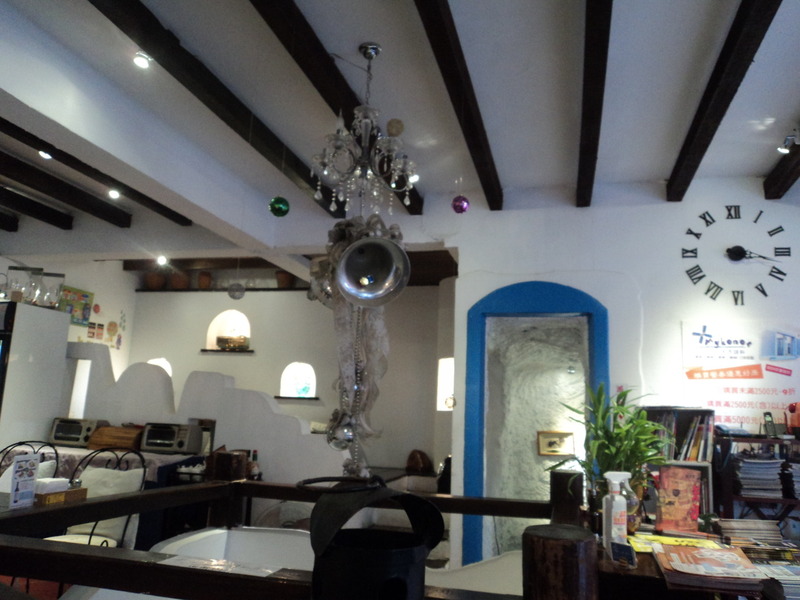 My favorite cafe discovery happened on the first day. I don’t think our other cafe discovery would top this one. 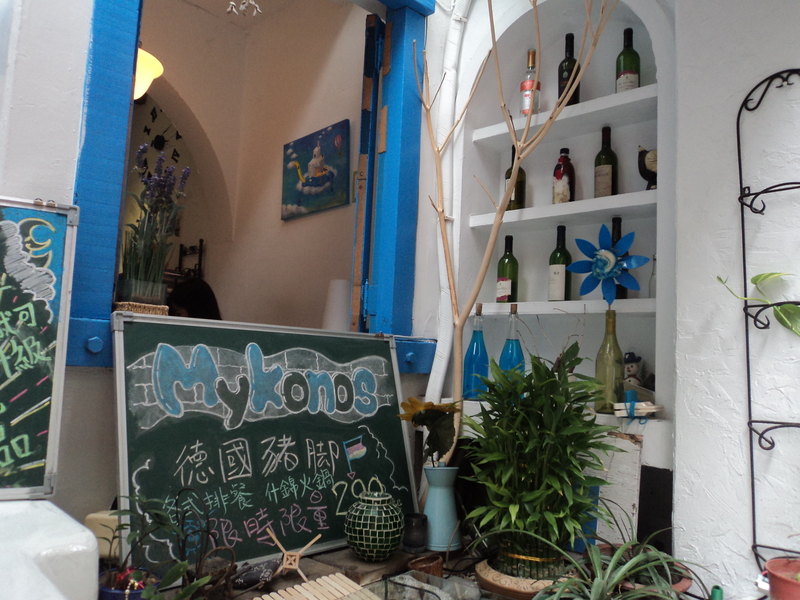 Mykonos is right smack within the Shida Night Market, near the residential area. Again, found this while wandering around and since it looks so adorable, it needed to be entered. It was practically shouting it. 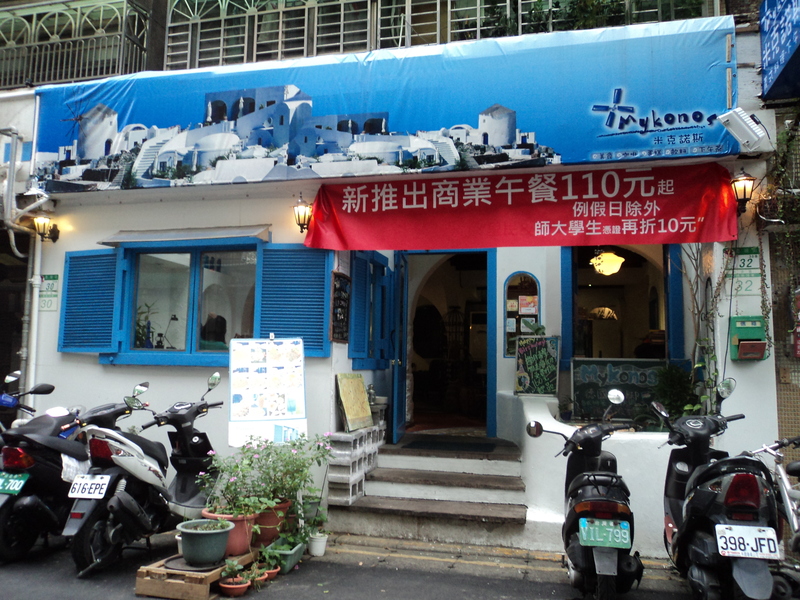 The menu has english translations, it is mostly coffees and cakes but I just have to say that this place is divine. If I would open my own coffee house, it might look very similar to this. Blue and white, clean and curved lines. It felt like home. I absolutely loved the inside. I almost didn’t want to leave. 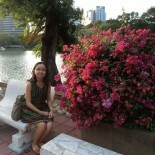 It was a break from the blustery cold wind. The exposed beam gives the place a lot of character. White walls and curved lines continue here, as well as the casual mix of comfy and whimsy. The cake was just delightful. 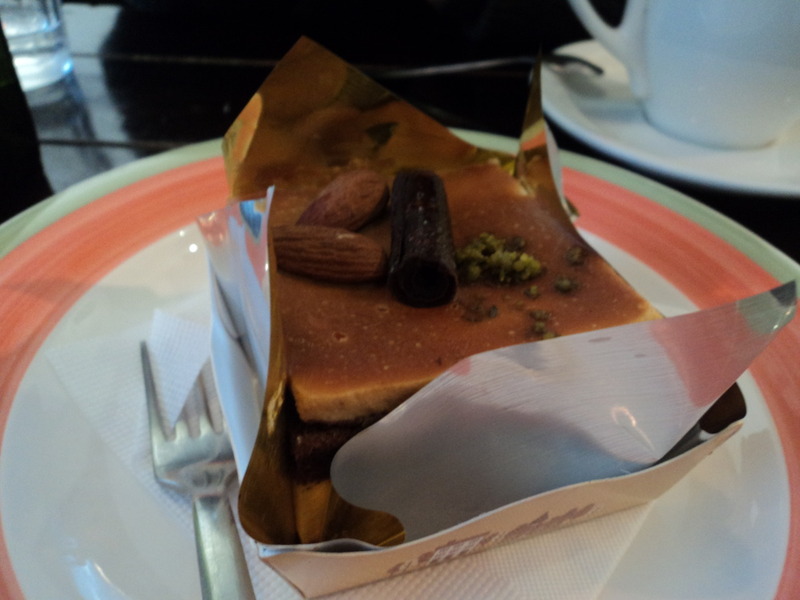 This is my first cake in Taipei, and as I would later discover, they have among the best cakes. It is not so sweet. The flavor is just the right amount of chocolatey. The texture is soft and melt in your mouth. This city knows how to make dessert. 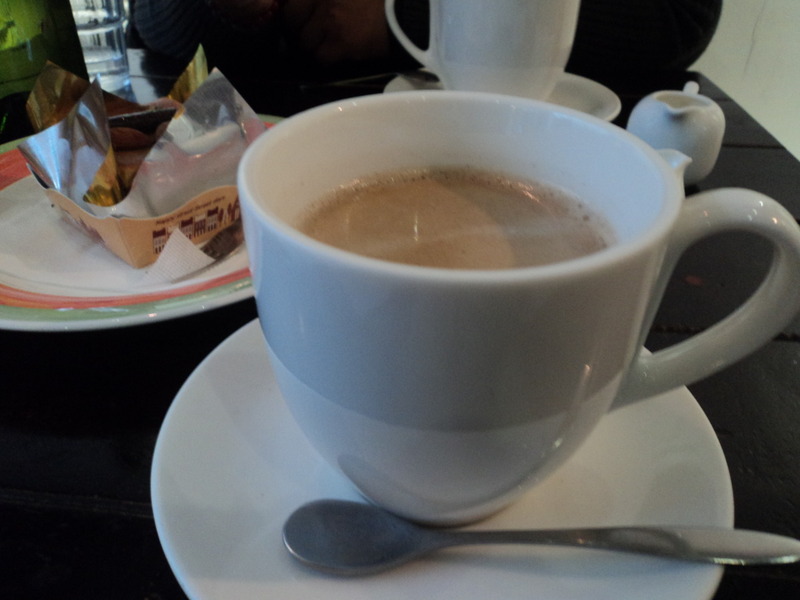 The coffee, I have to admit is, on the weaker side, as compared to our local brew and even the usual Arabica. It is smooth. I don’t hate it, but it is not my favorite. It is just the right amount of break from the wind that is needed. I am not a big fan of night markets but this is a wonderful discovery in this part of the city. Certainly very unexpected. 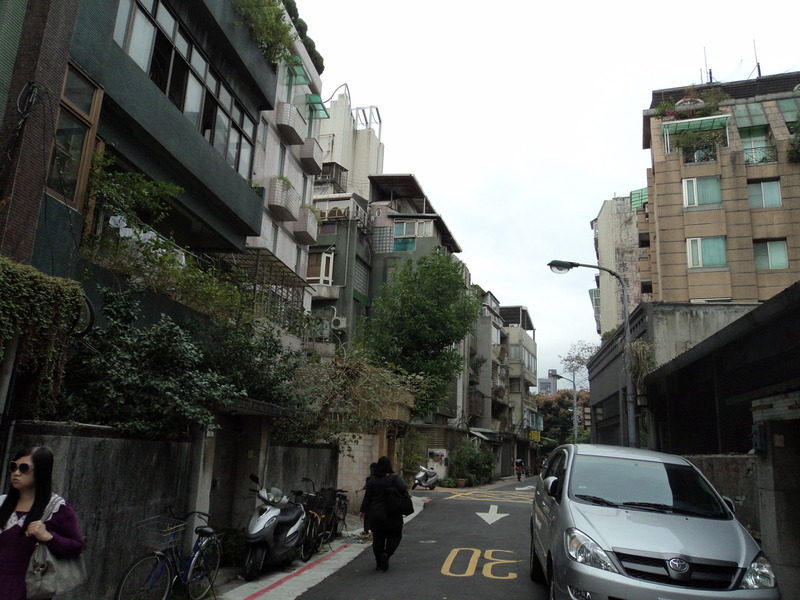 And as I said, a few feet away from the residential part as well. Quite a real gem, a Grecian escape. 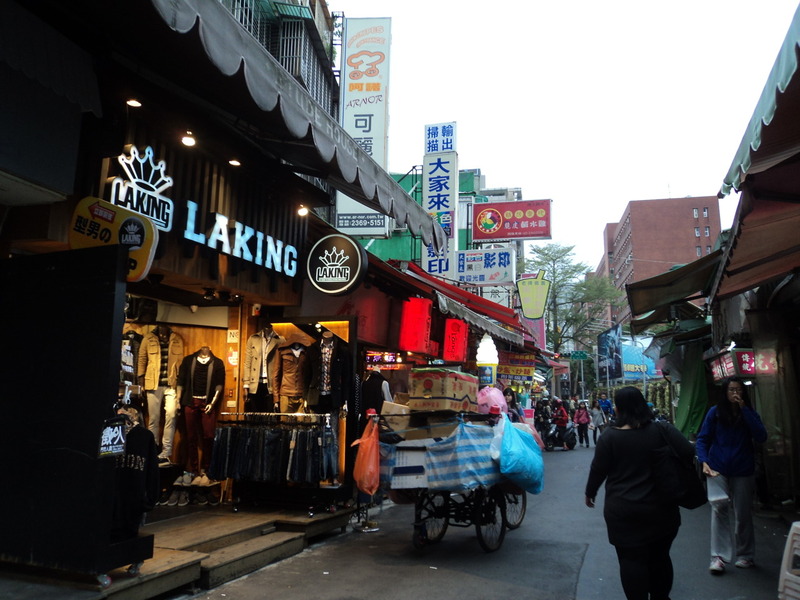 This entry was posted on January 22, 2013 by Portia Placino in Diary of a Grad student, Travel Writing and tagged Cafe, cake, Coffee, Mykonos, restaurants, Shida Night Market, Taipei, Travel.